We will have a chance to follow the protagonist in different activities: discussing plans for the future with his manager, performing for and audience of three, all of them in the guest list, making a tour which he has to finance himself. Yet he is an outstanding musician who is to be taken seriously and at least in his home region he has a passionate and by no means tiny group of fans. But to be a musician in the village of Máze which has a population of 250 is definitely not easy, especially for a rapper. Bigger music hubs like Oslo are far and the local devout hip-hop scene is still small. If one wants to succeed in such circumstance, he will have to make difficult choices. Should he leave his home and move to a big city? Or, if the cherished hip-hop music starts to cost too much at one point, should he quit and get a “proper” job which one could make a living out of? For Nils Rune/SlinCraze there is an additional dilemma – he considers it important to express himself in his native language, but the amount of speakers, altogether perhaps 20 000, might limit the influence area of a more ambitious artist. Hence SlinCraze also resorts to making music in Norwegian occasionally, but it is clear that his main goal is to address his own people in his mother tongue. When a Norwegian rapper raps in Norwegian, he can simply be a rapper. A rapper with Sami heritage rapping in Sami is undoubtedly a Sami rapper. Being an ambassador of your people is a chance which a member of a bigger nation might not have. Taking on such a role is deliberate but to an extent also inevitable. Therefore the message of SlinCraze is always a mix of his own personal message and the Sami message. 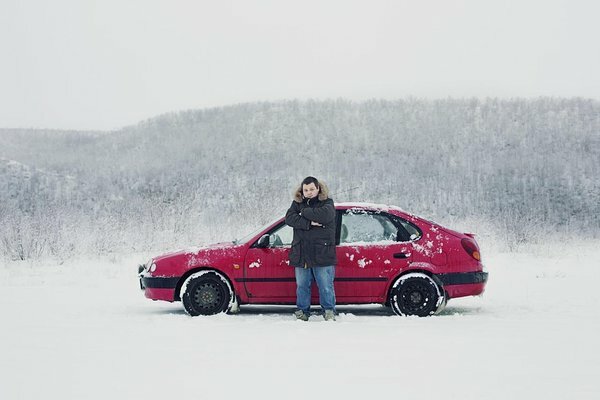 “Arctic Superstar” offers one snorts of laughter, picturesque landscapes as well as contemplative moments and all that through beautiful and elaborate cinematography. The pace of the film is unhurried, quite like the protagonist himself, but definitely not sluggish. It is definitely a film for people who love music, languages and northern documentaries. Additionally the film is a good reminder of the fact that although we are used to think of the indigenous people in the context of folk music, there is a wide variety of different music that can be found in a living culture, through which the language and the culture itself continue to thrive.